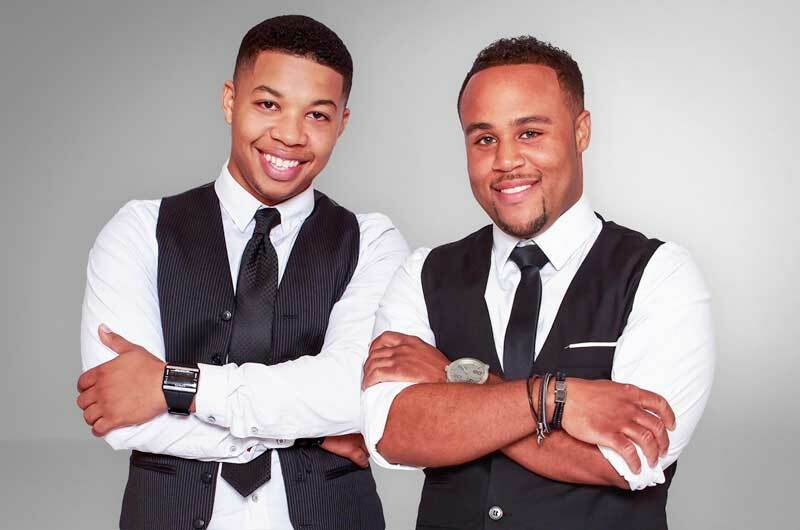 Bermuda musical duo ‘Last Call’ are getting set to offer up a new album, with the release to coincide with an island-wide tour featuring five dates. That tour will begin with a stop at St. Paul A.M.E. Church on May 7, with the album – titled ’10,000′ – to be available to purchase at the end of each concert. Subsequent dates include shows at Restoration Ministries on May 14, Radnor Road Christian Fellowship on May 21, Agape Faith Kingdom Ministries on May 28, and Open Door Christian Assembly on June 3. The duo, which is comprised of Tricray Astwood and Adrian Jones, said, “In 2009, we both started attending the same church, but it wasn’t until 2015 that we became best friends. “One night after a rehearsal for a concert that we were both singing in, we decided to hang out and we were talking about life and our future endeavors. We realized we both shared the same goals. After a few weeks we decided that we should join forces and become Last Call. “Our inspiration comes directly from the Holy Spirit. Also, life’s circumstance, failures, and successes helped to shape the songs on this album. “We feel that the songs on this album are “applicable,” meaning at least one song can be applied to a particular phase in life or circumstance that you deal with. 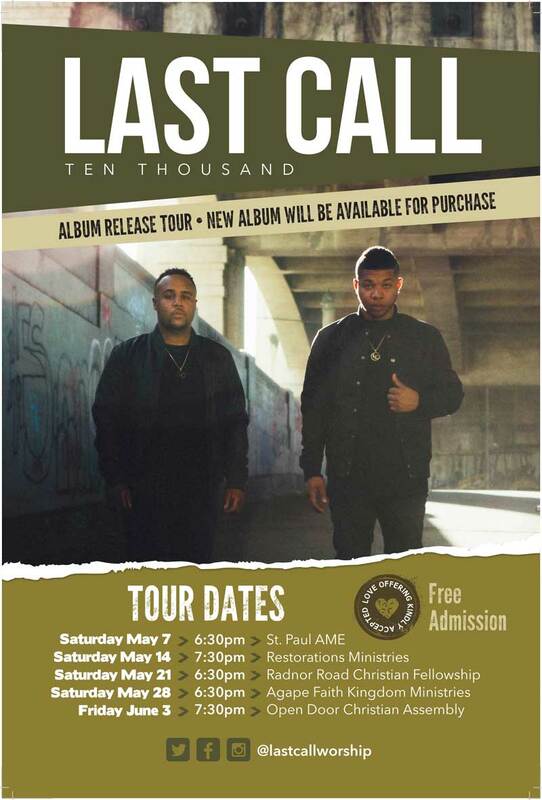 For more information about ‘The Last Call’ and their new album ’10,000′, visit them on Instagram or Facebook, or email lastcallworship@gmail.com. Awesomeness…..Proud of these young men!!! Amen! It is a pleasure to read this article on two positive young men.